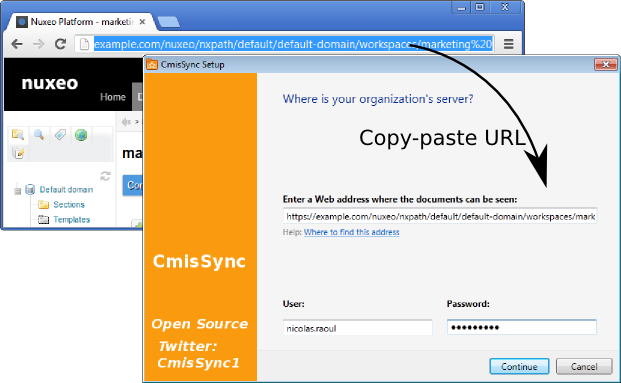 Then enter your Nuxeo username/password. 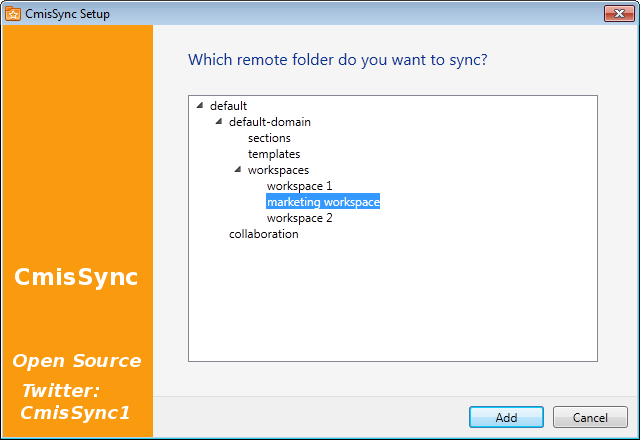 The next screen shows the Nuxeo folders. 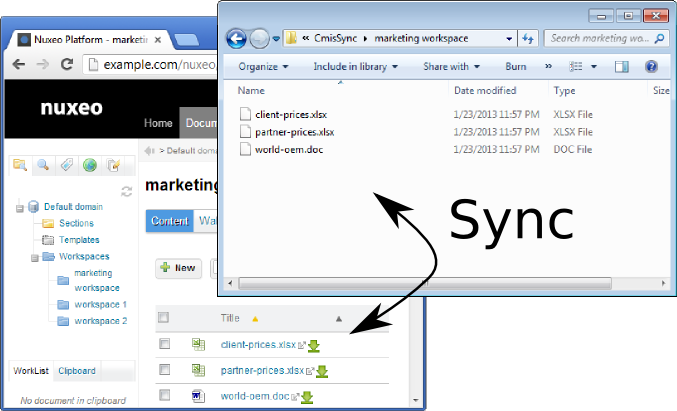 CmisSync will now sync Nuxeo to your desktop, whenever you have a network connection.